Around a year ago, a bunch of blinkenlights were installed in the HCI-Building of ETH Zürich. These LED spots weren’t interactive and only showed hardcoded patterns. Of course a bunch of LEDs demand interactivity, so for the first-semester party this year a giant game of Tetris was built on the side of a building. 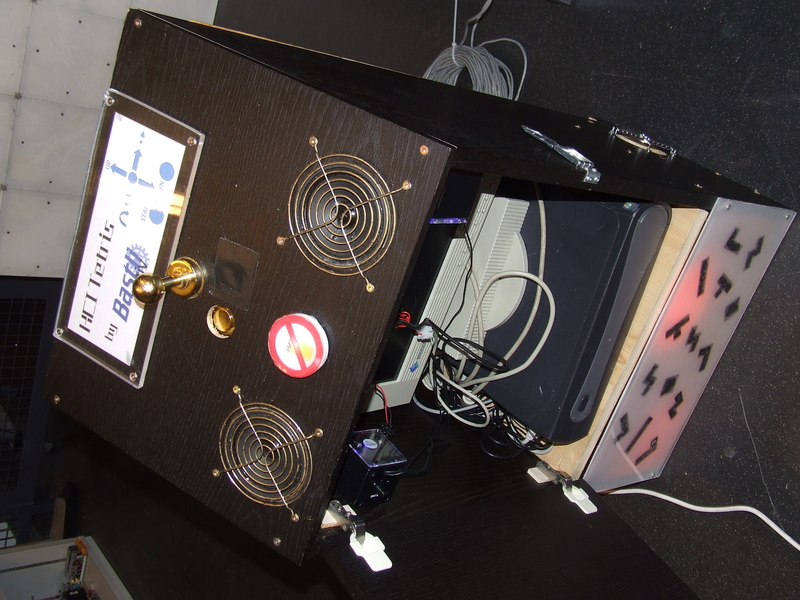 There’s no official build log, but from what we’ve learned, the LEDs are connected to a DMX controller that is in turn plugged into a computer and the University’s ethernet. 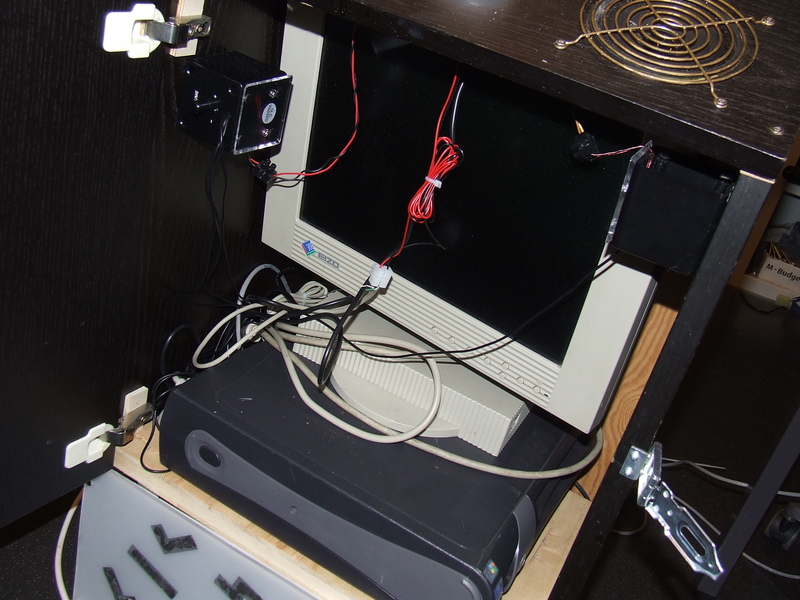 For the command and control of the Tetris game, a USB joystick was connected to an old Dell that was pulled out of the junk pile. The software for the project, LED side of the project was written in Visual C++ reusing old Tetris routines and example code from the DMX controller. For the controller portion, everything was written in C. The controller simply dumps chars into a TCP port on the second computer. While the Tetris board was only 3 pixels wide, there was a fairly massive queue of people wanting to play. Though I think the original article’s gone missing. Nice work with the building LEDs! I was there and it is really amazing :) They build other projects that are awesome too, like a waterfall display or an interactive dancefloor (you can play stepmania or snake or stompIt etc on it). Their website is: http://www.bastli.ethz.ch/ Their project page is http://www.bastli.ethz.ch/index.php?page=projects (both in german). I have always wanted to do this on the side of my house for Christmas. I even went as far as buying the LED Christmas lights, and then contacting the Tetris company to see if I could get permission to license the game. That was my mistake, the basically told me that to create a replica of the game in that manor would be a violation of there trademarks. Here the same with one additional row (so you can use the always vanishing “I” block xD) http://www.youtube.com/watch?v=ooJuHInq87I .